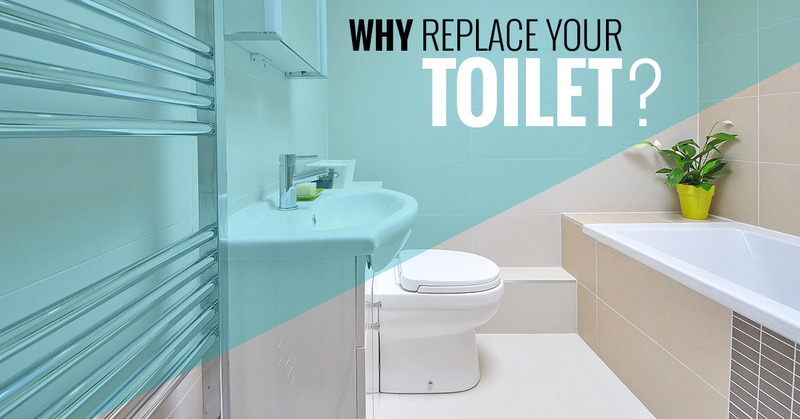 Toilets don’t last forever, and there are several good reasons to replace a toilet. When your toilet is leaking, it’s not always obvious, particularly if the leak is in the toilet’s tank or bowl. Because it’s not always easy to tell that your toilet is leaking, a toilet leak can cause a lot of damage by the time you actually realize it exists. Many toilet leaks can be repaired, but if you have an older toilet that is leaking or is in need of frequent leak repairs, you may want to consider replacing it. Does your toilet wobble around when you sit on it? An unsteady toilet needs attention from a plumber right away. The solution could be something as simple as loose bolts that need to be tightened, but an unsteady toilet could be a sign of something more serious. When the floor underneath the toilet starts to rot or becomes damaged, most likely from an undetected leak, it can cause the toilet to wobble, and the problem should be addressed immediately. #3. Your toilet isn’t efficient. If your toilet was manufactured before 1980, it is probably a lot less efficient than it could be. Toilets that were manufactured prior to 1980 use as much as seven gallons of water every time they are flushed. Toilets made after 1990, however, use only 1.6 gallons of water per flush. To determine how old your toilet, is, you simply need to lift the lid and check the date stamp. #4. You don’t like the way your toilet looks. Toilets can last for years, and it’s not uncommon for the rest of the fixtures and decor in a bathroom to evolve, while the toilet still remains the same. Many homes have older toilets in them that no longer match the decor or color scheme of the rest of the bathroom or even the home. Modern toilets are available in a variety of styles and colors, and you’re sure to find an option better suited for your bathroom. #5. You’re replacing the flooring around the toilet. If you’ve been putting off replacing your toilet until the right time, there’s no better time to replace your toilet than when you are replacing your floor. In order to replace the floor, they are going to have to temporarily uninstall your toilet anyway! As you can see, there are many reasons why it might be a good idea to replace your toilet, but whatever your reason may be, turn to Culler Plumbing Services. Contact our Belleville plumber today!